Maharashtra, home to India's financial capital of Mumbai, has allowed e-commerce companies to use plastic packaging for three more months, according to a government order dated June 30, which was published on Tuesday. 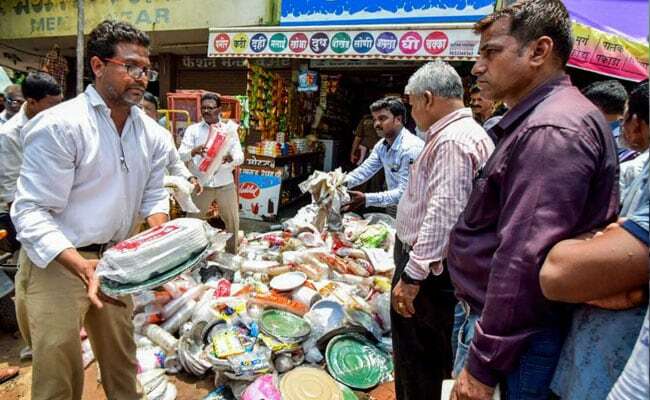 Maharashtra has eased a ban against single-use plastic, just over a week after it was imposed, following what sources said was intense lobbying by multinational companies and plastic industry bodies for softer rules and extensions. During these three months, e-commerce firms will have to come up with a buyback plan to collect used plastic packaging material, ensure its recycling and disposal as well as source alternative packaging material. The ban, which came into effect on June 23, had threatened a sharp rise in costs for retailers, beverage makers and sellers of bottled water, among other companies that rely on plastic for packaging. Representatives of companies including Amazon, H&M, Pepsi and Coca-Cola, as well as plastic lobby groups, met Maharashtra government officials days before the ban, urging them to implement the rule in phases and relax some norms, Reuters quoted four sources as saying on Friday. A senior government official, who was involved in the talks and did not wish to be identified due to government rules, said changes to the ban had been made after considering the industry demands. Maharashtra's top environment official Anil Diggikar did not answer calls or texts seeking comment. In its latest order, the government banned the sale of plastic bottles containing drinking water less under 200 millilitres. It also did not specify a buyback price for empty bottles used for selling beverages other than water, a move that could potentially help soft drink makers. Amazon, Pepsi and Coca-Cola declined to comment on the modifications to the ban. H&M did not immediately respond to a request for comment. The latest rules also exempt the use of plastic packaging of medical equipment and drugs. Plastic could be used for wrapping products by manufacturers, if the material used was thicker than 50 microns, comprised at least 20 percent recyclable material and had the manufacturer's details and buyback price printed on it, the order said. Maharashtra's move to ban plastic, the first such broad action against the material by a state, comes as Prime Minister Narendra Modi pushes a plan to completely end the use of single-use plastic in the country by 2022.